The Government has been accused of ignoring the needs of soldiers as new figures show the Department of Defence has made savings of almost €140m over the past five years. This has allowed the Department to return more than €92m to the Exchequer since 2014. Officials in the Department have attributed the cost savings to permanent Defence Force personnel numbers dropping below the recommended 9,500 officers. However, the cost savings come against a background of disquiet among serving soldiers and their families about allowances and salaries. They have complained about relying on social protection payments and family income supplements to complement their salaries. PDFORRA, the body representing permanent members of the Defence Forces, says the salaries on offer, aligned with the cost savings at the department, creates a "deep sense of disenfranchisement" among soldiers. Its general secretary, Gerard Guinan, said these figures represent "the cause of the current crisis in recruitment and retention within the Defence Forces" with staff numbers now below 8,500. The Wives and Partners of the Defence Forces (WPDF) group said the needs of soldiers are being ignored and said the money could be put to use within the Department instead of being returned to the Exchequer. WPDF spokeswoman Sarah Walshe said: "You have homeless soldiers and their families couch surfing, staying with friends and families because the cost of rent is soaring. "They are being absolutely ignored. It is so frustrating. "What is not regarded in the recruitment crisis is that our family members, who are still serving, are carrying the weight for the staff who have left the forces." Figures obtained by Fianna Fail defence spokesperson Jack Chambers shows the department made savings of €138.9m between 2014 and the end of last year. This enabled €92.3m to be returned to the Exchequer. Mr Chambers accused Defence Minister Paul Kehoe of being a "silent lamb at the Cabinet table". "This reveals the complete mismanagement of the Defence Forces by the Minister who should be arguing and demanding every last cent available so he can improve pay and conditions for the men and women who serve our country in order to properly tackle the haemorrhaging of personnel that are leaving every week. "These figures show that Defence Forces personnel, the worst paid in the public service, are in effect bailing out other departments which blow their budgets every year." 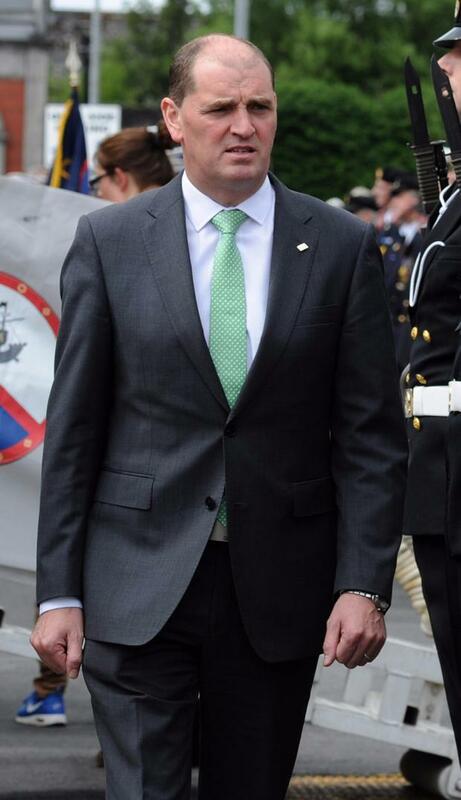 Pay scales in the defence forces start at €27,000 including allowances. The Minister said savings returned to the Exchequer included €50m in reimbursements from the UN. Mr Kehoe claimed Fianna Fail does not understand how public finances are managed. "The Defence Forces is fully funded for 9,500 personnel, but as we are not at the established strength, it is inevitable that not all of that money will be used. "Rates of pay, which are a matter for the Minister for Public Expenditure, are determined as part of public service pay agreements."